Designed for sports camcorders, tablets, and smartphones, the 32GB Professional 1000x UHS-II microSDHC Memory Card from Lexar features a storage capacity of 32GB and supports maximum read speeds of 150 MB/s and maximum write speeds of 75 MB/s. This card has also been designed with the V60 Video Speed Class rating, which guarantees minimum write speeds of at least 60 MB/s. All of this allows for users to immerse themselves in extreme sports videography and photography in 4K, Full HD, and 3D. 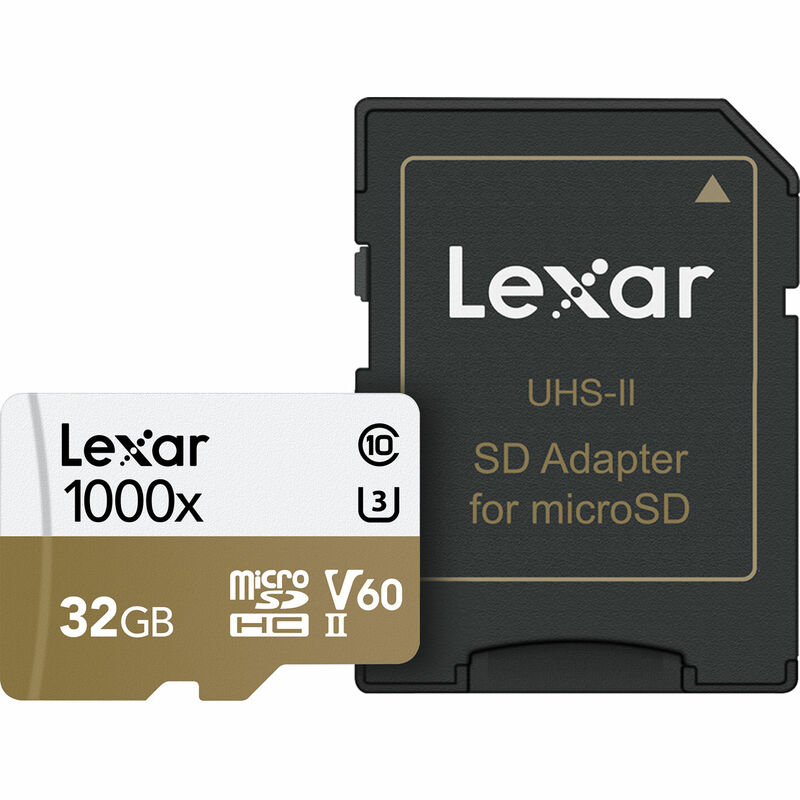 As with most Lexar media, this memory card is able to withstand temperatures from -13 to 185°F, allowing you to take this card with you into extreme environments, such as snow and deserts. 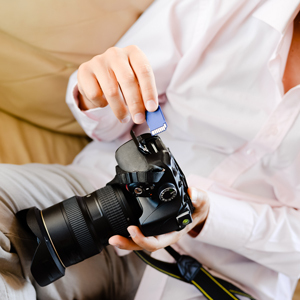 Should the card become compromised, users in the Americas will benefit from a limited lifetime warranty, while those in Germany and regions not recognizing the lifetime warranty will benefit from a limited 10-year warranty. Included is a UHS-II microSD to SD adapter, allowing this card to be used in SD-compatible devices. Box Dimensions (LxWxH) 6.1 x 4.75 x 4.2"